Cat Tower is a dexterity-based tower-building game starring CATS! You and up to five players have the grueling task of stacking unwieldy, lethally cute cats in various, precarious positions based on the roll of a giant cat die. In Cat Tower, you’ll compete against friends to be the first to stack your hand of cats onto the central Cat Tower! 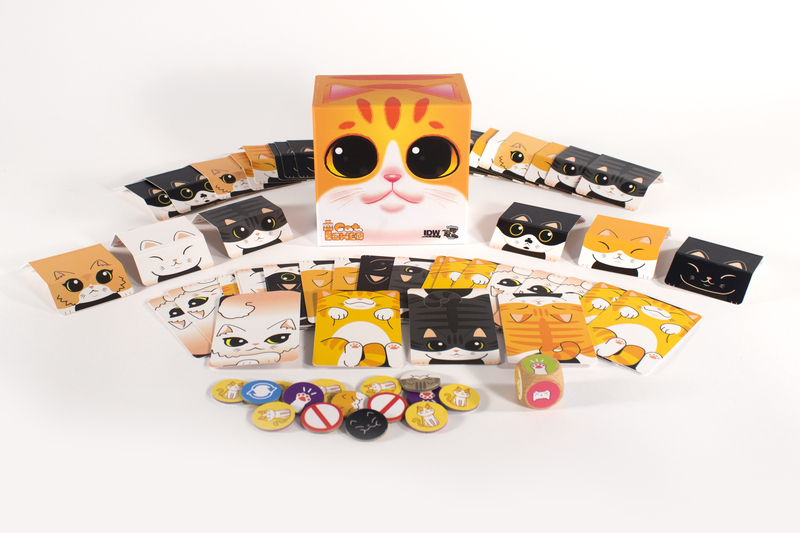 Each player receives a starting hand of seven cats, and, one-at-a-time, will first roll the die, then, depending on the results of the die, try to stack cards on the tower. But be careful, any time you topple the tower, you’ll be forced to take Cats back into your hand, setting you further away from claiming victory (and tasty fish)! The first player to empty their hand of cats is the winner! Let the player with the most cards left clean up & re-deal, because you’ll want to play again right away! Excited to stack some cats? You’ll have to wait until February. But don’t worry, we have the official Cat Tower theme song to keep you entertained until then.